It has hosted royalty on more than one occasion, a showbiz sensation and a famous World War I field marshal. Yet it's the simplest things, and what it is today, that makes Mona Vale really shine: a family home, the hub of a modern farming business, a home that flourishes with ordinary day-to-day life—although it's no ordinary home. You need a cherry picker just to clean the windows. Mona Vale is sometimes called the calendar house. It has a window for every day of the year, fifty-two rooms, twelve chimneys, seven entrances, and four staircases for the four seasons. 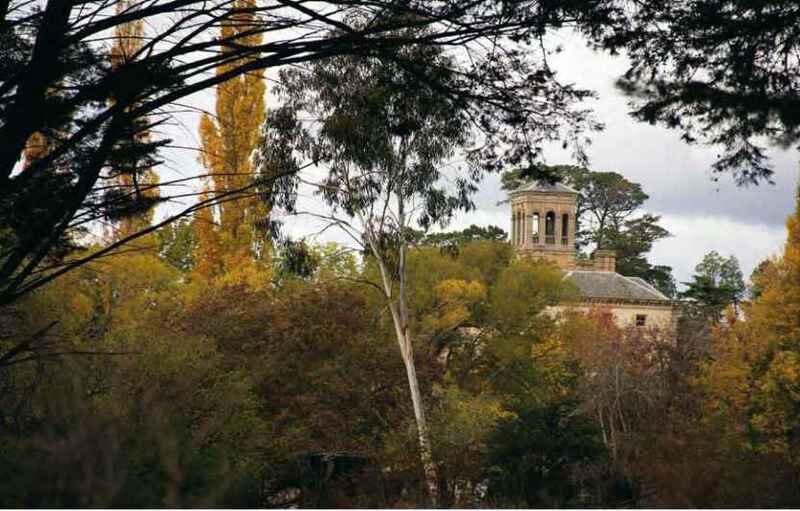 It was designed by William Archer (architect and owner of Cheshunt) for his brother-in-law, Robert Quayle Kermode, and was completed in 1868, just in time to host a visit by Queen Victoria's son, the Duke of Edinburgh, on the very first royal visit to Australia. This was a significant moment for Mona Vale, and indeed for Tasmania, as it was hoped that the royal visit would lend a mark of respectability to the island and assist in burying its maligned convict past. So in addition to ensuring the palatial homestead, extensive gardens, conservatories and exquisite chapel were fit for a queen's son, Mr Kermode went to the trouble of commissioning a royal bed, a four-poster with the arms of Edinburgh adorning its cedar footboard. People still sleep in this bed in the Duke of Edinburgh's room, one of ten bedrooms on Mona Vale's second floor. 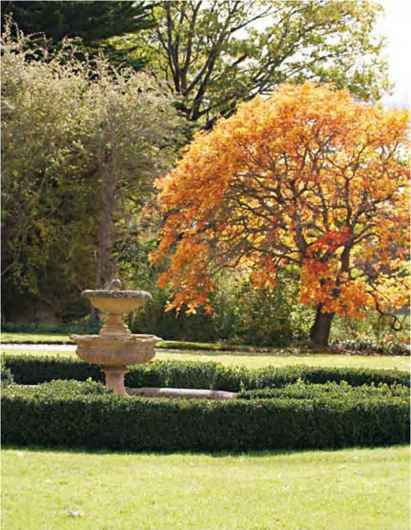 The Duke planted an oak tree in the gardens while he was a guest at Mona Vale, and it continues to thrive. The impressive visitors' book continued well into the next century. In the 1920s, owners Eustace and Alexina Cameron entertained the future King George VI and Queen Elizabeth at Mona Vale. Even earlier than that in 1912, the legendary Lord Kitchener paid a visit to inspect the empire's troops, as the light horse regiment was based at Mona Vale for many years (the Cameron family have a long military history). And then composer, actor and playwright Sir Noel Coward played the grand piano in the Mona Vale hall when he was in Australia raising funds for the Red Cross during World War II. Mona Vale was really quite the place to be and that's exactly how Robert Quayle Kermode intended it. His father, William Kermode, was granted land at Ross in 1821, and it is thought the property was named after Monaoeda, the Latin name for his home, the Isle of Man. As a merchant, William Kermode made many trips to and from Tasmania before he settled on the land. The wealth he accumulated aroused some early gossip that he may have dabbled in the slave trade. As you have expressed an inclination to take the native Diemenese George to England, in which disposition I most readily concur, it might be as well to tell you his history. About two and a half years ago, this boy, and one much younger, were found in the woods about New Norfolk, being at the time it appeared abandoned by their parents. They were both brought to Hobart Town and this boy remained under my care. The other died of a bowel complaint having been placed at nurse in the country. This boy who now goes into your charge has been christened George Van Diemen, and has been taught his letters, and his prayers, but although he has become obedient and tractable, there is little expression of intellect. 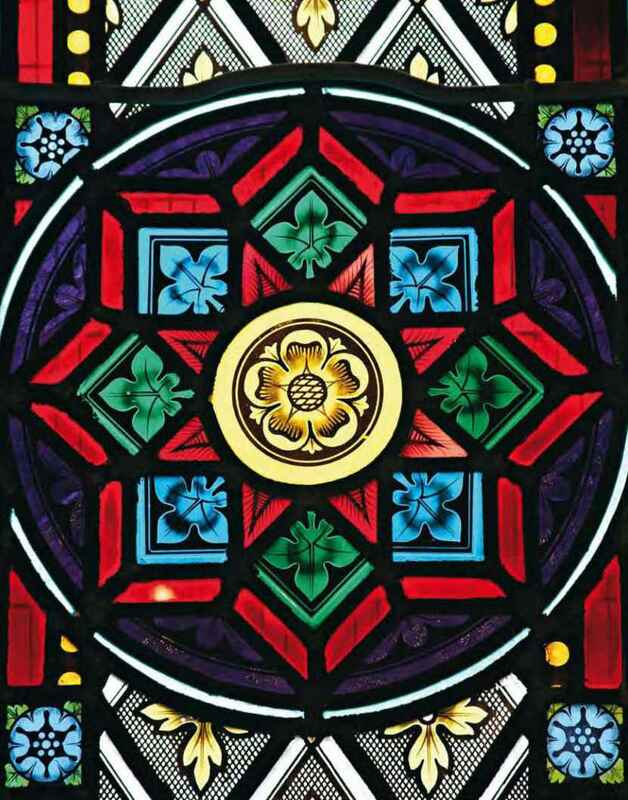 I believe he is sufficiently impressed with the law of meum and teum [mine and thine], and would not take anything except to eat, with respect to which I am afraid he is open to temptation. You are of course authorised to leave him in any hands that you consider fit to insure his good treatment and education, and he would of course be allowed by His Majesty's government a passage back to Hobart when he approaches or arrives at manhood. Aboriginal man contracted tuberculosis in smog-filled Liverpool and died at Mona Vale not long after his return. William's wife and daughters joined him at Mona Vale in 1828. By 1834, Kermode had replaced a modest timber house with a substantial brick building, and many farm cottages and buildings were laid out. Mr K has nevertheless carried irrigation to a greater perfection than any other person perhaps in the Australian colonies. Here are 500 acres laid down in English grasses, divided by English quick hedges into convenient enclosures, along each of which are water-ducts with dam gates, by which he is enabled to throw the whole or part under water in the driest season. This valuable plot of ground, which will probably feed as many sheep as 15,000 acres of the native pastures, was originally a swamp, and was received under ostensible protest but with a secret appreciation of its real value by the proprietor. Indeed, if I remember correctly, the worthy old gentleman who has a hearty liking for a joke, chuckles complacently and openly about the fact that some additional land was thrown in by the authorities as a make-weight for the boggy allotment that has helped to make his fortune. 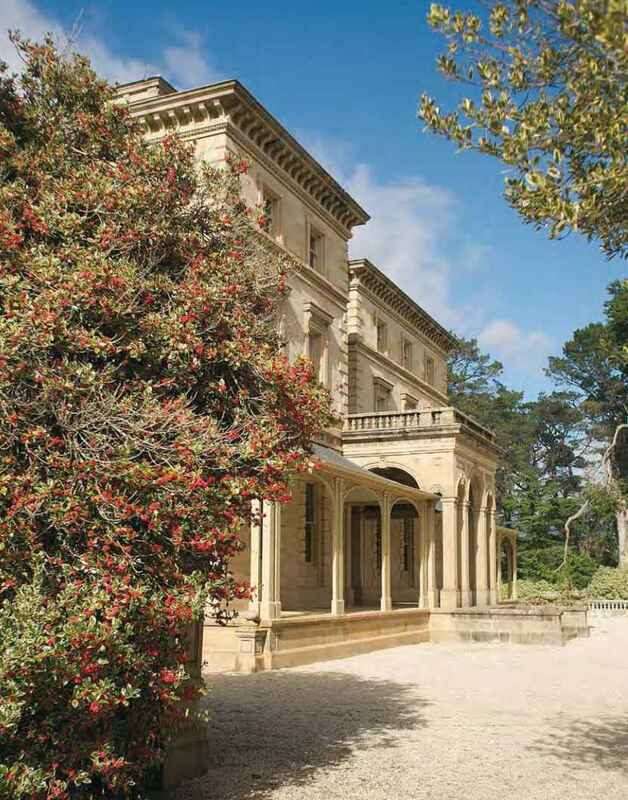 Robert Quayle Kermode first lived at Mona Vale cottage—now a glorious estate in its own right known as Lochiel—with his wife, Martha Elizabeth, and six sons. Martha was the eldest daughter of Thomas Archer, of Woolmers, and the marriage brought together two of the colony's most distinguished and wealthy families, but she died in 1853, a year after William Kermode. It was about 1854 that Robert Quayle Kermode appears to have first contemplated building a grand new residence at Mona Vale and it seems that William Archer, his talented brother-in-law and long-time friend, had prepared some sketches by 1855. 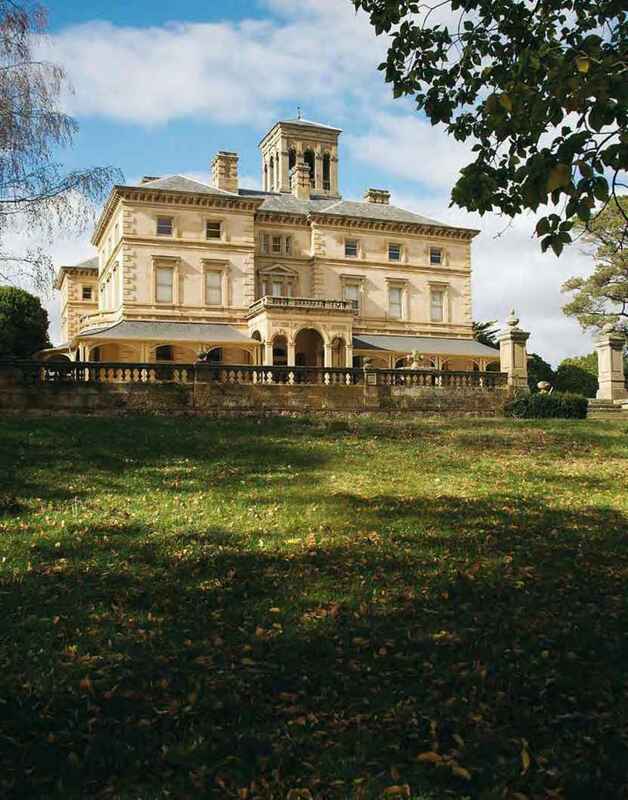 In 1859 Robert remarried in England, and in 1865 work began on the magnificent homestead at Mona Vale. It was designed to showcase both Robert's wealth and William's skill. The stone was quarried on the property and it is impossible to fathom how these heavy pieces of rock were lifted to such enormous heights: the home is three storeys high, and also boasts an Italianate tower, from which are afforded magnificent views. In the three years it took to complete Mona Vale there was the occasional owner-versus-architect dispute—the verandah is one example. Dr Cliff Craig, in Historic Homesteads of Australia, wrote: 'The main objection raised has been that the impingement of the verandah on the side of the porch has diminished its dramatic value. As can be seen, the verandah conceals the arches at the two sides of the house. The architect, William Archer, did not want a verandah, but he was overruled.' The current owners of Mona Vale are pleased for that, and believe the verandah works very well. The main house is a magnificent specimen of its type giving, without undue ostentation, an immediate impression of splendour. It is in the form of a parallelogram with two wings running back from it, thus forming a court. Each storey is marked by a moulded string course, and the whole house is surrounded by a cornice, with carved trusses and by a frieze of scroll work. The dominant influence in the three main façades of the home is early astylar Florentine Renaissance, without columns or pilasters, each course marked by a moulded string course, the eaves in the form of a cornice roughly proportional to the height of the building, rusticated quoins at all angles and set backs, and the windows framed by mouldings. However the set backs and asymmetrical balance of the façades, the tower, the porch and the curved bay window, although Renaissance in detail, are all in the Gothic tradition, as also are the steeply pitched rooves of many of the minor buildings which otherwise are a simplified version of the main building. The home looks out over a man-made lake and extensive gardens. 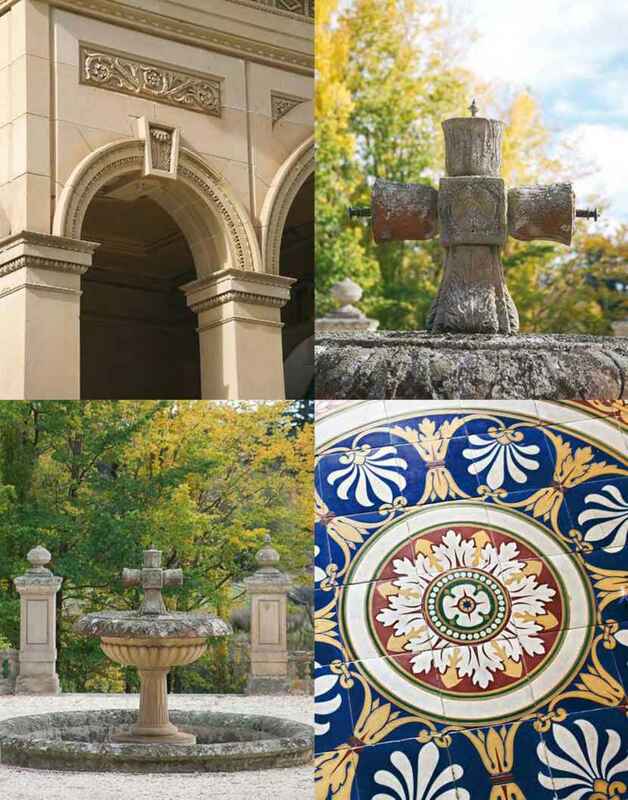 An exquisite stone chapel was also completed in time for the Duke's stay, and enormous conservatories were filled with lemon trees, camellias, pineapples and grapes. [The dining room] is a lofty and spacious apartment lighted by large windows looking southward and westward. The walls are decorated with a handsome paper most curiously built up. Over the range of panelling runs a frieze of very chaste and classic pattern—above this is an extremely rich cornice, having festoons of fruits and flowers, and in the centre of the ceiling hangs a very handsome ornament, from which depends a chandelier for kerosene lamps. Of the entry hall: 'On entering by the portico, the visitor is ushered into a spacious hall, the floor of which is tessellated with Minton's caustic tiles, in variegated colours, after a very beautiful design.' These rooms hardly look any different today. An unusual and innovative feature of Mona Vale is its laundry chute—effectively an elevator moved up and down with a rope pulley. It has landings on each of the floors and, as well as laundry, was used to deliver freshly polished shoes. It had a more recent use delivering a young man with a broken leg from one floor to the next. 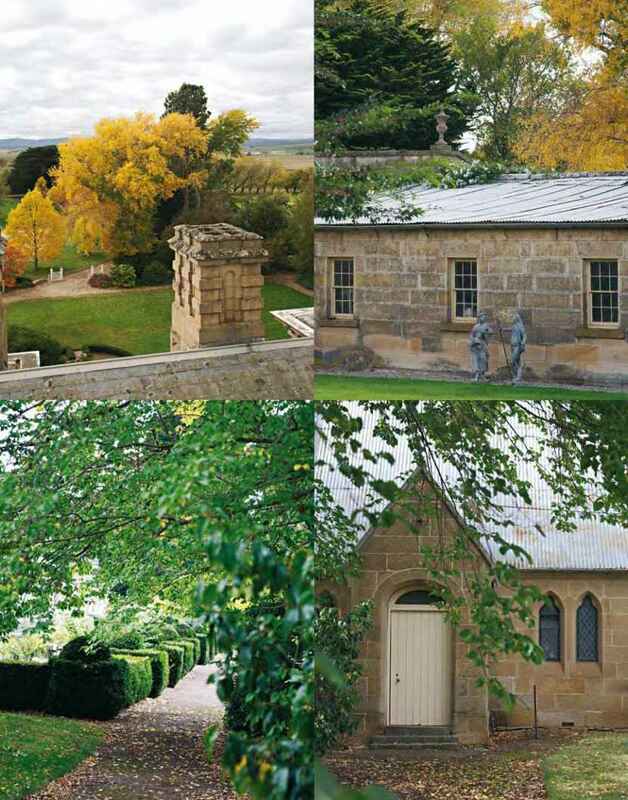 There is a range of historically significant farm structures and outbuildings, including a glorious two-storey sandstone home for the manager. 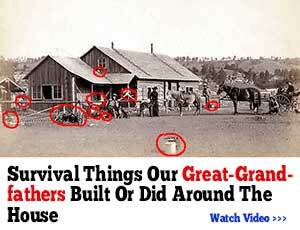 At its peak, about a hundred people worked on the Mona Vale farm, most also living here. There was a school for the children, and Sunday services took place in the chapel, which is still used for Christmas carol singing and the occasional wedding or christening. Robert Quayle Kermode unfortunately didn't get to enjoy his lavish residence for long. He died in 1870 at Mona Vale from 'mis-assimilation of food'. His son, William Archer Kermode, inherited Mona Vale, and other children received properties that were part of the estate. But William closed the Mona Vale homestead up and moved to England with his five children, two years after his own wife died, returning in 1888. In about 1905 Mona Vale was sold to Eustace Noel Cameron, who lived there with his wife Alexina and their six children. 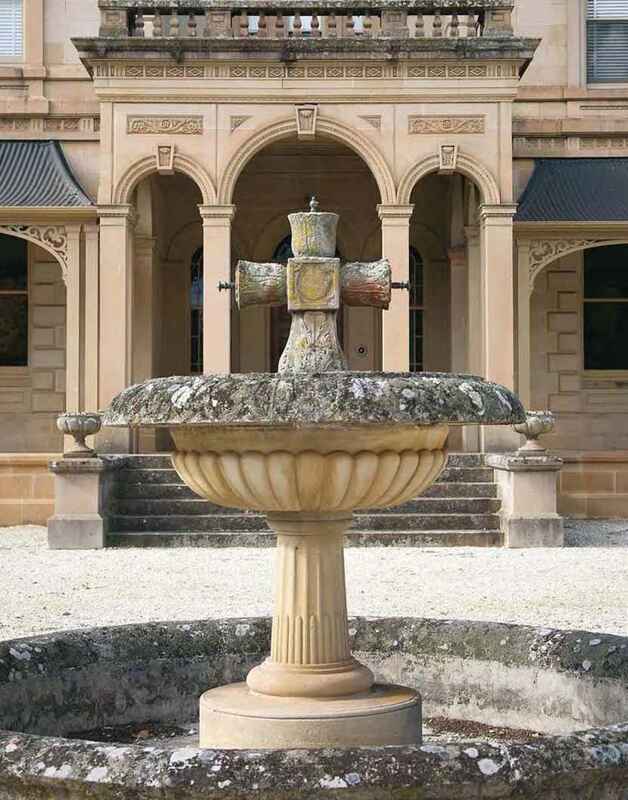 The Camerons, a prominent Tasmanian pastoral family, returned Mona Vale to the state of grace that befitted it. Over time, stylish modern touches have been added, and essentials such as central heating. While cleaning the 365 windows of this calendar house is one heck of a chore, it looks as immaculate today as it would have when it literally gleamed for that first royal visit so many years ago. In fact, far from looking its years, the home almost seems to have taken on a new vitality with a fresh generation of children recently moving in. The place really is at its best when children are running down hallways, playing their music, or riding their horses through the courtyard. Is the calendar house at mona vale tasmania open to the public? Can you visit the calendar house in tasmania ross?